This was really elegant and luxurious and the fennel and parsnip combination was unexpectedly delicious. 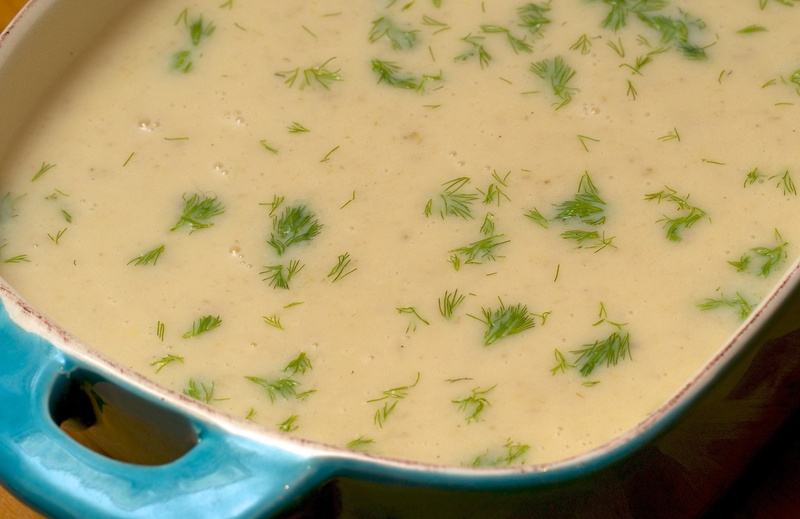 Melt the butter in a large pot, add the onion, parsnips and fennel and stir well to coat. Season with salt and pepper. Cover with a circle of baking paper and and the saucepan lid. Cook on a gentle heat for 10-15 minutes or until soft but not coloured. Heat the stock and add, simmering for about 20 minutes or until the vegetables are completely tender. Add the milk and cream. Blend until smooth and taste for seasoning. Serve sprinkled with the reserved fennel fronds.